I arrived early for Citrix Synergy this year. I had anticipated a busy pre-conference schedule early on and boy… I was not disappointed! 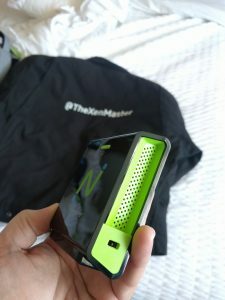 Did two live videos and a few recorded sessions – exclusive behind the scenes videos at the Citrix Professionals Facebook Group. 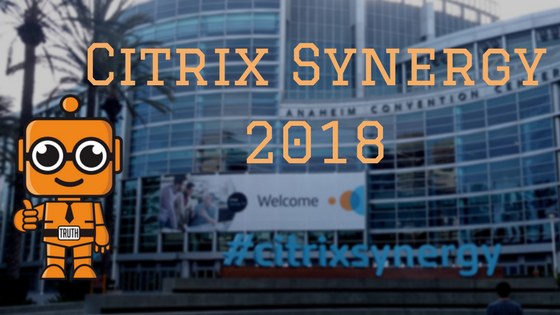 No Announcements today; watch Twitter.com/TheXenMaster for those and retweet with #CitrixSynergy! Day 0 for me followed a pretty long day -1 for me as I had flown in Sunday pretty early… so let’s cover that quickly. I was on the plane with some folks from NComputing, which was fun. Yesterday I was actually given one of their Pis (Workspace Hub) at the CTP briefing. I have to say I like this year’s bag overall. I have downsized my laptop recently, so this fits my needs better. Note that feedback I have gotten is that this year’s bag is way better than last year! I very much agree, better padding and it doesn’t feel like it is constant trying to dislodge its rear compartment. 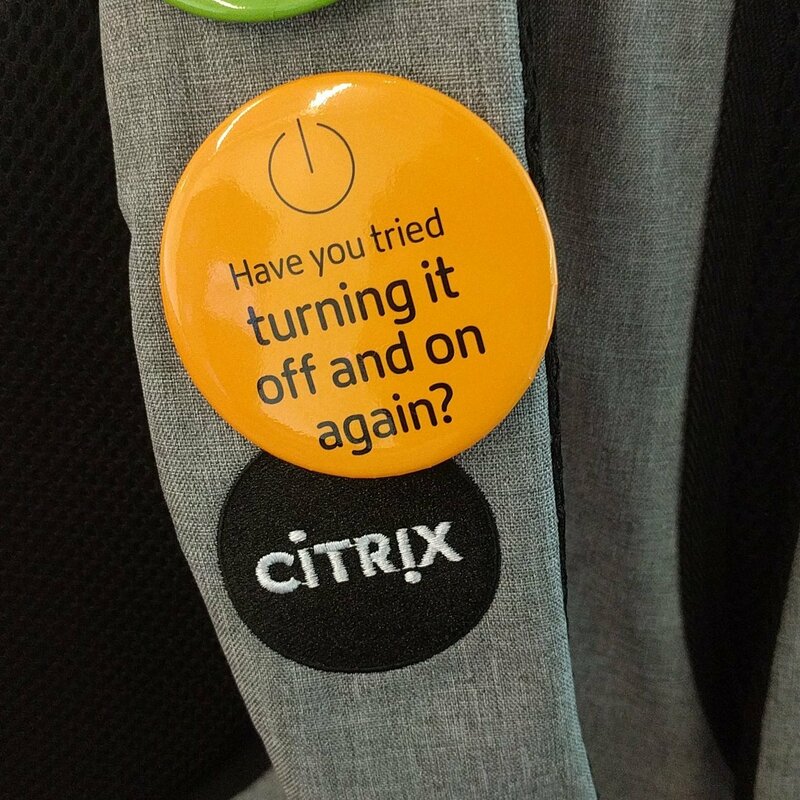 Good work, Citrix Team. So after picking up the badge and CTA jacket, I met up with some other CTAs and early arrivers to not only catch up but talk about the Lunch Table talks we are facilitating this week. Early to bed Sunday night! Day one started with breakfast and a two hour “what to expect” session where the CEO and other Citrix leadership were letting us know what was coming up and getting our feedback on several areas of operation. 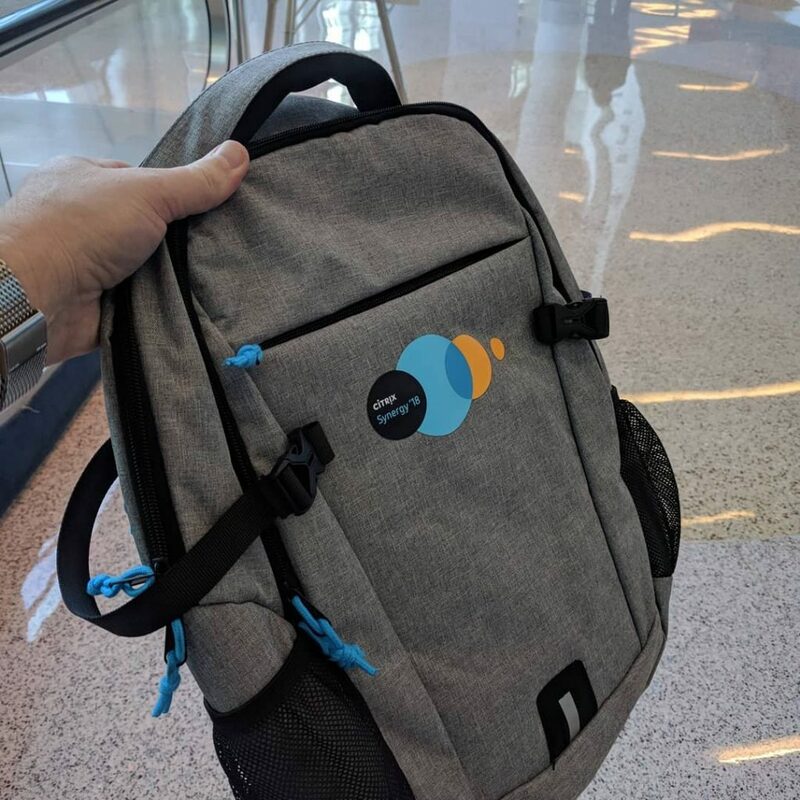 I can’t discuss these much further, but I can tell you that the praises and concerns that have been voices to me were brought to the attention of the CEO of Citrix… Hard to ask for more of a great way to start, right? I had an impromptu lunch with a few fellow CTAs and leaders, then was back at my hotel room to prep for the evening. I decided to go live on Twitter to give a “what to expect when you walk in”. I then did a Facebook Live behind the scenes tour of what is being set up at the Synergy Park and Expo Hall. To see that, you need to join our FB Group, Citrix Professionals. This event far exceeded our expectations! So many of you were there and made it a point to say hi. I was very glad to be there. I handed out a good number of cards and connected with quite a few friends new and old! And of course, a little bit of Introvert Power Punch (Alcohol) didn’t hurt get conversations flowing. T-Shirts were given out and a good time had by all! This was a very cool way for those that had either never been to Synergy our there after several years to learn what is new. Two hours went by in a flash as I met about 20 or so folks and gsve advice on sessions and themes to look for. My perception is that it was well received- if you were there I’d love to pass your feedback too the team, or just put your feedback into the Synergy App! As I ended the day with some drinks first at the Marriott, then the Hyatt- I realized that I had talked myself horse. I’d been on my feet some 5 hrs straight, but I went to bed around 11 feeling fine. Of course I woke up at 4am and started writing this blog… So we’ll see what tomorrow brings! Remember to watch for live updates on Twitter and join our Facebook Group for another live session right before the Keynote! Watch for Citrix demonstrating a much tighter strategy towards a practical Workspace. Cloud and Analytics will be another theme to watch. 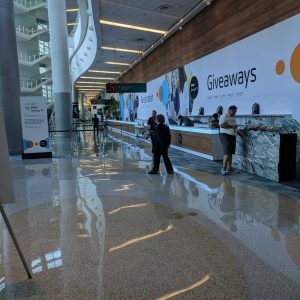 Remember you can live stream at live.citrixsynergy.com! I’m adding tips every day to my SynergyTips page! Today’s tip is how to smooth out that CUGC T-Shirt!